The appellant Kunjmoti is the widow of deceased Raghuwar who had died in a train accident while travelling from Allahabad to Chapa in Sarnath Express in 2004. The Railway Claims Tribunal Bhopal Bench, had allowed the claim under Section 16 of the Railway Claims Tribunal Act, 1987 and had awarded a sum of Rs.4,00,000/-. 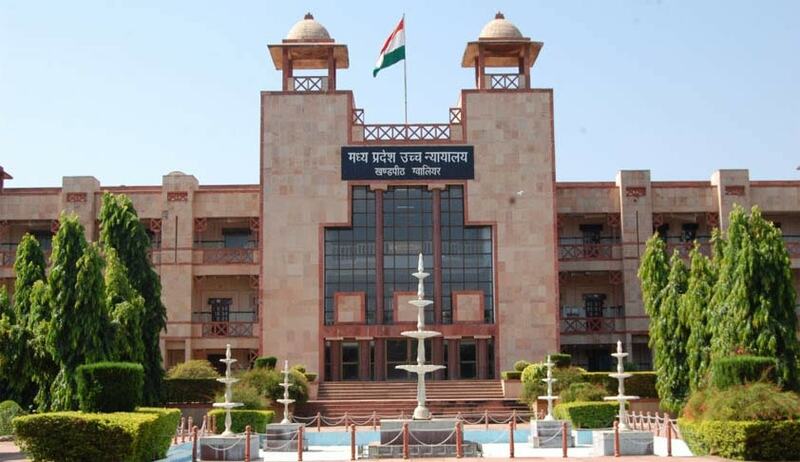 Being aggrieved by the quantum of the award, she preferred miscellaneous appeal under Section 23 of the Act, before the High Court of Madhya Pradesh. In the application for condonation of delay the appellant had stated that as she was not satisfied by the award passed by the Railway Claims Tribunal dated 29.08.2008, she handed over the copy of the award for necessary action to her counsel. However, the formalities regarding vakalatnama and affidavit could not be completed and hence the appeal could not be preferred within the stipulated period. Subsequently, the copy of the award got misplaced in the office of the advocate. Later, on 25.07.2009, she learnt that for want of formalities regarding vakalatnama and affidavit, the appeal could not be filed. So, she along with her counsel visited the counsel at Jabalpur and ultimately the appeal was filed on 31.07.2009. The miscellaneous appeal was accompanied by an application under Section 5 of the Limitation Act, supported by affidavit of the appellant. The appellant’s plea was opposed by the Union of India on two counts. Firstly, as per sub-section 3 of Section 23 of the Railway Claims Tribunal Act, 1987, every appeal under section 23 has to be preferred within a period of 90 days from the date of the order appealed against. It was argued that the Act being a special law, provisions of sub-section (2) of section 29 of the Limitation Act, are not applicable and High Court has no jurisdiction to extend the period of Limitation prescribed by section 23 (3) of the Act. Secondly, taking recourse to Part I of the Schedule appended to the Railway Accidents and Untoward Incidents (Compensation) Rules, 1990, it was contended that the maximum amount which may be awarded for death of a person in a Railway accident is Rs.4,00,000/-, which has already been awarded by the Tribunal. The Court bestowed its consideration on the rival contentions and observed that there are two provisions in the Railway Claims Tribunal Act, 1987, which relates to limitation. One is sub-section (2) of section 17 which expressly empowers the Railway Claims Tribunal to entertain an application made under subsection (1) thereof even beyond the period of limitation prescribed by that sub-section, in case the applicant satisfies the Tribunal that he had sufficient cause for not making the application within the prescribed period. The other one is Section 23 where no corresponding condoning power as under S.17 (2) has been conferred upon the High Court to entertain an appeal. The Court observed that there can be no manner of doubt that the Railway Claims Tribunals Act, 1987 is a complete code in itself and it was enacted in view of the fact that the litigation in Courts of law and before Claims Commissioners was very protracted; and with the avowed object to set up a specialized Tribunal for speedy adjudication of railway claims. “As such, regardless of the fact that no express reference has been made in The Railway Claims Tribunal Act, 1987, excluding the application of specific provisions of the Limitation Act, such application shall be deemed to have been impliedly excluded in view of the fact that the Railway Claims Tribunal Act is a complete code in itself and makes specific provisions to cover every aspect of the accident claims against railways,” remarked the Court. The Court was also in agreement with the arguments of the Union of India that even on merits appellant has no case as Railway Claims Tribunal had passed an award in the sum of Rs. 4 lakhs for the death of her husband. The Court also added that Section 3 (1) of the Railway Accidents and Untoward Incidents (Compensation) Rules, 1990 ordains in clear terms that the amount of compensation payable in respect of death or injuries shall be as specified in the Schedule. It was pointed out that Part-I of the Schedule appended to aforesaid Rules, prescribes the amount of compensation as Rs.4 Lakhs, which was already awarded by the Railway Claims Tribunal.